Mt. Bachelor lodging offers guests a variety of options ranging from hotel rooms to condos that can accommodate the whole family. One thing to know about vacationing to Mt. Bachelor and the Bend, OR area is that there is no slopeside lodging. We suggest having a car or inquiring about property shuttles to and from the mountain. 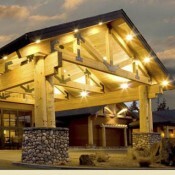 Hotels both budget friendly and luxury can be found in downtown Bend, some are right around the corner from the 10+ local breweries in town including the famous Deschutes Brewery. Staying downtown gives guests the convenience of walking to the many nearby boutique shops and restaurants for any budget. 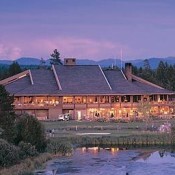 If you are looking for larger units and a more complete, year round retreat there are several resort properties including Sun River, Seventh Mountain, and Mount Bachelor Village. Amenities at these resorts range from onsite restaurants and bars to fitness centers, pools and hot tubs. Take advantage of the many summer and winter activities available to visitors of Mt. Bachelor, Bend and the surrounding areas. The combination of the serene Deschutes National Forest and inviting Central Oregon hospitality with the unique experience of skiing powder for nearly the entire season on a dormant volcano keeps guest coming back year after year. If you have yet to visit Mt. Bachelor, now is the time to check it off your bucket list!